In the summer of 2014 I travelled to Lalgadh Leprosy Services Centre (LLSC) in south-east Nepal for six weeks. There I worked with leprosy affected patients and gained an insight into the challenges facing podiatric wound care in the region. Leprosy or Hansen’s disease is a chronic infection caused by the bacteria Mycobacterium Leprae. Much like diabetic neuropathy, a lack of sensation in the feet can mask pain leading to ulceration and infection. The hospital was set up by the Nepal Leprosy Trust, a UK based charity which provides free treatment to those affected by Leprosy. Leprosy is diagnosed by skin smear; patients demonstrating symptoms such as skin lesions, loss of peripheral sensation or swelling of the ulnar nerve would qualify for such a test. The test collects a sample of material from a tiny cut which is then stained to detect the bacteria. 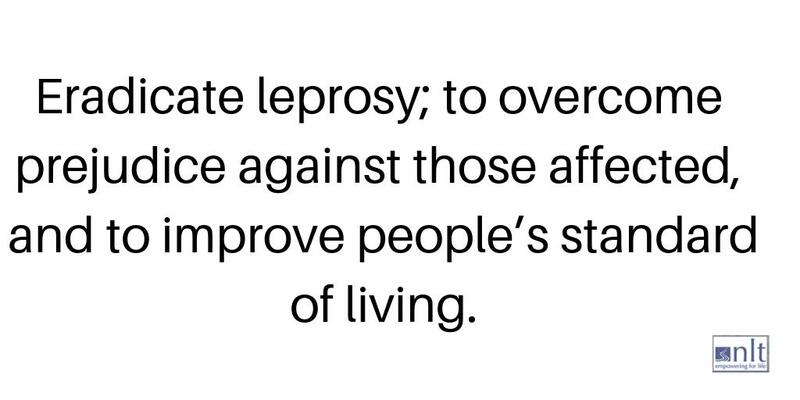 If Leprosy is diagnosed the patientwill begin a 3 month or 6 month course of multi-drug treatment (MDT) depending on the degree to which the bacteria is present. If there are acute complications involved, such as serious ulcers, the patient may be admitted for inpatient care while the complications are managed. Usually patients would arrive at the hospital with large wounds. Many patients did not seek medical attention until there was a significant reason to do so such as a large putrid wound. This could have been due to a number of reasons including distance from the hospital, cost of travel, loss of income, need to support family, lack of health education and fear of stigmatisation. The wounds that presented themselves to the hospital were unlike anything I have witnessed. Wounds and ulcers were rarely smaller than two square inches on presentation and many tracked through the normal structures of the foot. Infection was kept at bay on the ward through high doses of systemic antibiotics, however little could be done for limbs which came to the hospital gangrenous and necrotic. Within the first week of my stay I realised that the principles of wound care, learnt at undergraduate level, could still be applied to the patients at Lalgadh, they just needed to be adapted to the challenging environment. Wounds were not routinely debrided which concerned me. In an attempt to change this I tried to instruct some of the hospital staff on the principles of effective wound care, giving scalpel skill demonstrations and presentations on the science behind debridement. Presenting to a room full of non-English speaking doctors and nurses was a interesting experience to say the least; far more actions than words. The hospital was charity funded and as a result I never expected high cost dressings such as those seen in an NHS clinic. Not one of the dressings had an adhesive backing and gauze bandaging was used instead. The bandaging allowed the patients to expose their wounds each morning and soak their feet, whilst not a completely sterile practice, many of the wounds had good moisture. Ulcers were regularly cleansed with 10% betadine solution which potentially had a negative effect on healthy wound beds but did keep bacteria at bay. I spent a large amount of my time helping the nurses assess which wounds required which dressings. We tended not to use honey or sugar based dressings because of the ants, instead gauze soaked in a salt solution made debridement and slough removal easier. Offloading was the hardest task in my opinion and this was not merely due to the size of the wounds. Patients tended not to wear much more than flip-flops, even those with wounds had to be convinced into basic footwear. This was understandable as footwear is expensive and the climate is very hot. Furthermore, the main employment was work in the water of rice paddy fields and footwear was not worn in the home as it was seen as disrespectful. It was far easier to stop patients from weight bearing through the use of total contact casts, crutches and wheelchairs. Fortunately in-patient care allows for stringent observation and I regularly found myself reprimanding the younger patients who managed to find their way out of their wheelchairs. The hospital did have a shortage of wheelchairs and often staff had to improvise by attaching wheels to plastic chairs. I myself took a wheelchair out with me, it was collapsible and when X-rayed resembled the bipod of a machine gun or so I was informed by Nepali airport security! Halfway through my visit I realised that some of the patients wounds were stuck in a chronic phase and refused to heal even though the wound was free from infection, moist, offloaded, debrided and had good granulating tissue. I looked elsewhere for an explanation and it was only when the staff kitchens closed for a short period and I started receiving my meals from the IPD kitchen that I realised diet may be responsible. We are taught the importance of diet, especially protein content in those patients with ulcers. The protein content recommended for a patient with a wound is very high and meat is an expensive luxury in Nepal, it being one of the poorest countries in the world. I was informed about an alternative which was grown on the hospital grounds, the ‘Moringa Tree’ which boasts a high protein content. Unfortunately my time at the hospital had run out by this point and so I was unable to explore the benefits further. It is very easy to take diet for granted back in the UK. Whilst a good number of patients admitted did see out their MDT until discharged by a doctor, occasionally I was informed that patients wanted to discharge themselves even with non-healed wounds as they needed to work to support their loved ones. In Nepal there is little government support to those in need of medical care. One boy I felt particularly sad for had been at the hospital when I first arrived, he was at the hospital alone, his family were a bus journey away. He frequently watched me playing football with the staff, yet could not join in himself due to neuropathy and ulceration on both feet. Throughout the duration of my visit I paid special attention to a large wound underlying his right calcaneus. Over the course of six weeks the wound was in its last stages of wound healing. Unfortunately the boy discharged himself; he had been in IPD for 3 months and was keenly missing his family who could not afford to visit. I cannot help but think that his wounds may have deteriorated as a result. The temperature during my visit varied between thirty-five to forty degrees Celsius. It was extremely humid due to the fact it was monsoon season. As a result we also had patients at the other end of the spectrum who would actively seek to maintain wounds in order to retain their bed in the ward, which had a fan overhead and three meals per day. This was very sad to witness and it really demonstrated to me how unforgiving true poverty is. My understanding of wound care at Lalgadh has only increased my own awareness of the complexities of care in a third world country. The environment is truly unforgiving from both a patient and practioners point of view. My time spent at the hospital has made me appreciate factors that influence wound care yet can go unmentioned, such as diet of patients. My experience of Lalgadh was an extremely positive one, the staff are amazingly friendly and the work they perform under the demands they face is beyond doubt awe-inspiring. I would also like to commend Nepal Leprosy Trust for organising my trip and the brilliant work they do. I would fully recommend visiting Lalgadh to anybody who would like a challenging experience with the opportunity to positively impact patients well-being. Prepare to get thrown in at the deep end and meet some dedicated people!